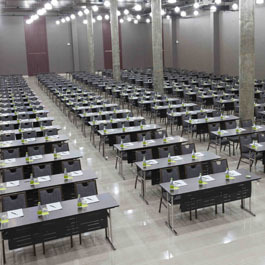 KYCC is the newest convention centre in Khao Yai and the largest in the northeast of Thailand. 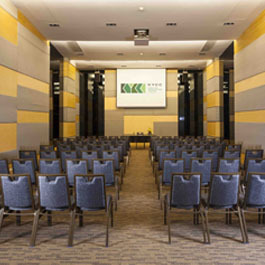 Offering 3,720 sq m of flexible meeting space, KYCC can accommodate every need. We have two buildings that can be used for any style of event, ranging from trade shows to corporate meetings and presentations through to movie shoots, concerts, sporting events and wedding receptions. We also have a 1,860 sq m outdoor plaza, set between the two buildings, which can be used for banqueting, performances, or any open-air activity. Our parking area has a capacity of more than 300 cars. 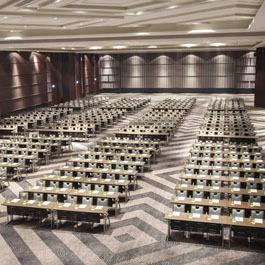 The Grand Ballroom is the largest banqueting suite anywhere in Khao Yai, with a capacity of 1,000 people for seated meals. The operable walls allow the space to be partitioned into three separate function rooms with capacities ranging between 200 and 360 guests. The Exhibition Hall has all the facilities needed by exhibitor booths, and features ceramic floor tiles and pillars. With an area of 956 sq m there is a capacity of 600 guests for seated meals, and there is also a pre-function area for socialising. We have seven private rooms for smaller events and meetings such as seminars, training and private parties. These can accommodate groups ranging from 40 to 200 guests, and the room can be arranged in any format required to fit your ideal plan. 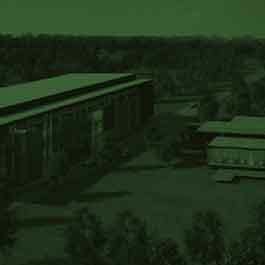 Our outdoor plaza is located between the two buildings and provides space for exhibitions, receptions, buffets, performances and outdoor sporting activities. Full exhibition stand services, audio-visual technology and catering arrangements can be provided.